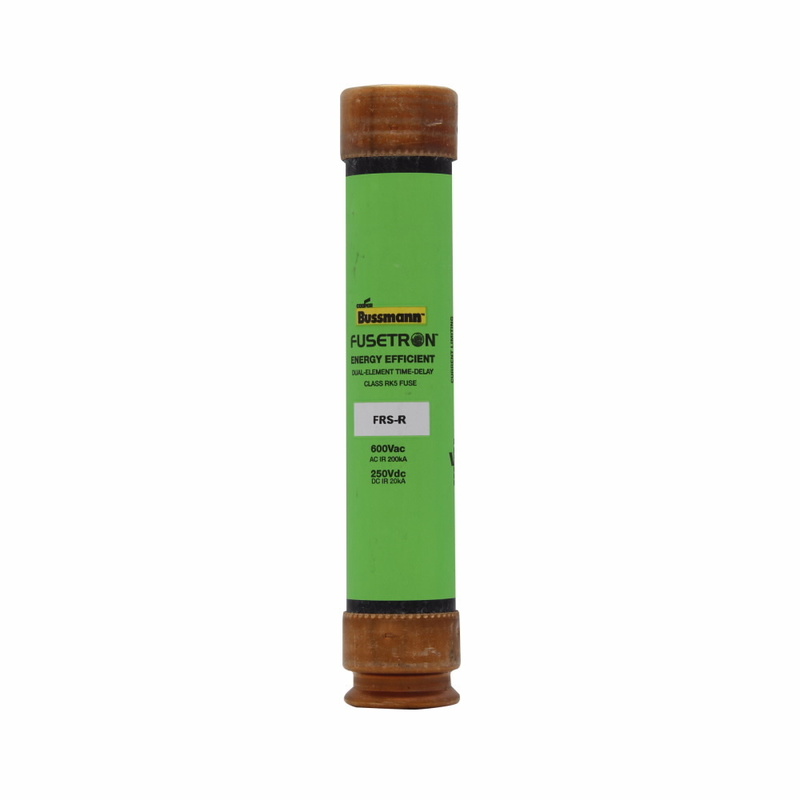 Detailed Description: Bussmann Fusetron® Class RK5 Time-delay fuse is rated at 60 Amps/600 VAC/250 VDC. It has an interrupt rating of 200 kilo-Amps 600 VAC RMS and 20 kilo-Amps 300VDC. Fuse offers a time-delay of minimum 10 seconds at 500% of rated current providing ultimate protection. Low voltage fuse can be used in circuit that are subjected to motor overload. 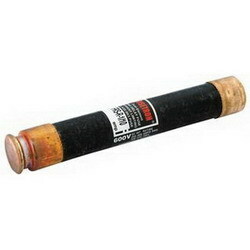 It offers surge current that offers short-circuit protection. Fuse provides protection burnout from single phasing on three phase system and simplifies/improves blackout prevention. It measures 1.060 Inch x 5.500 Inch. finds application in motor control centers, machinery disconnects, combinational starters and power panelboards. Fuse is UL listed and CE/CSA certified.